Autumn is a very special time of year, it never seems to last long enough either. 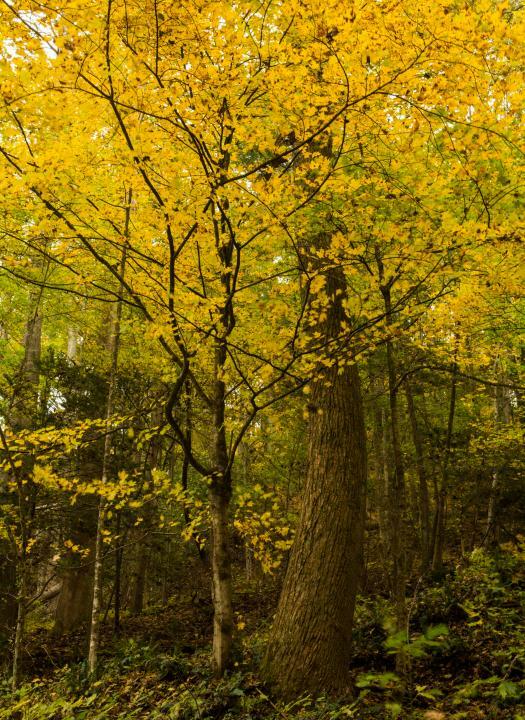 I was out hiking along my local trail at Laurel Run Park here in Church Hill, TN when I came across the beautiful color this small tree was putting off. I also really liked the contrast of the larger tree trunk to the smaller one.